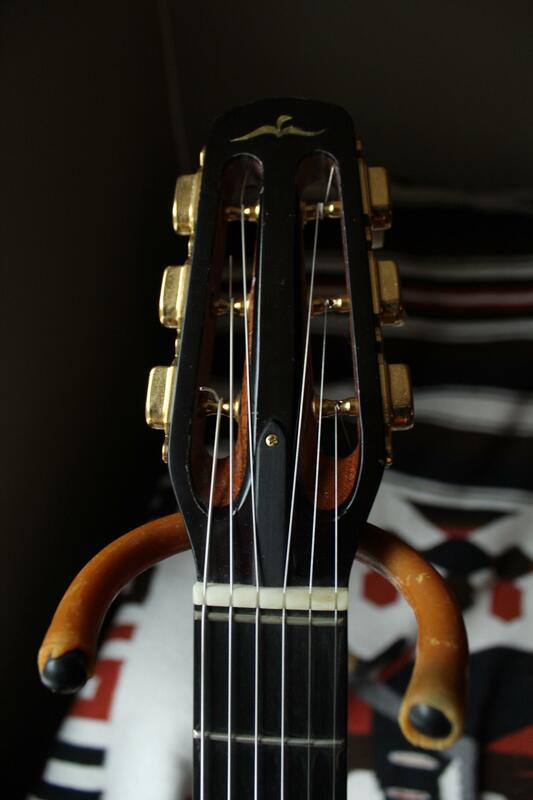 Handmade, one of a kind Selmer style guitar made by Italian Luthier Mauro Freschi in 2012. This is his flagship 'Reve' model. 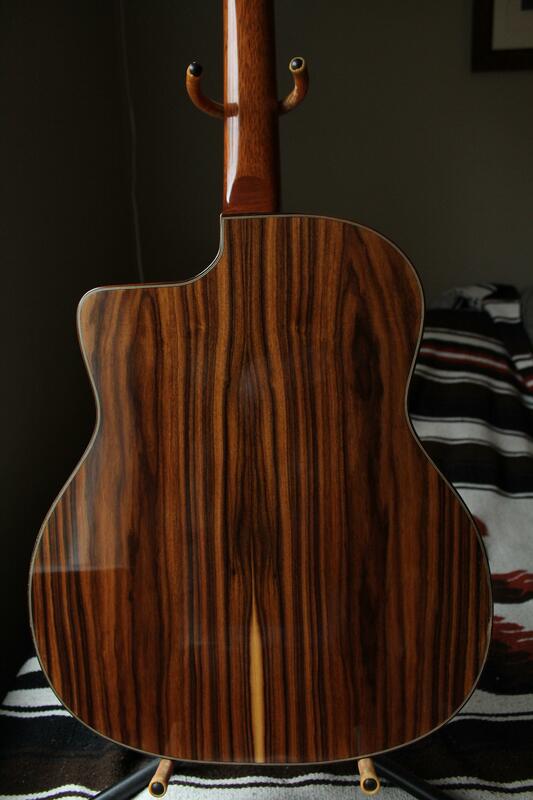 Freschi is making a name for himself as a premier luthier in this style. His guitars are played by Gismo Graf and Moses Rosenberg. 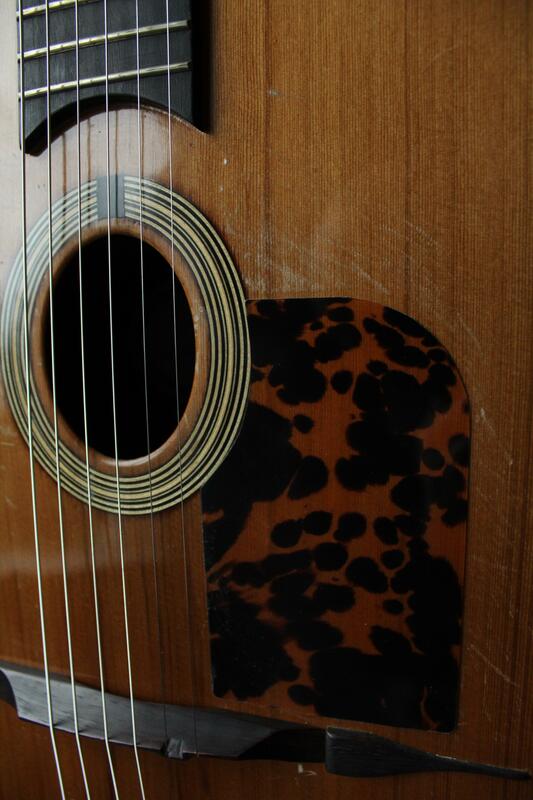 His website lists this guitar new at 2900euros. 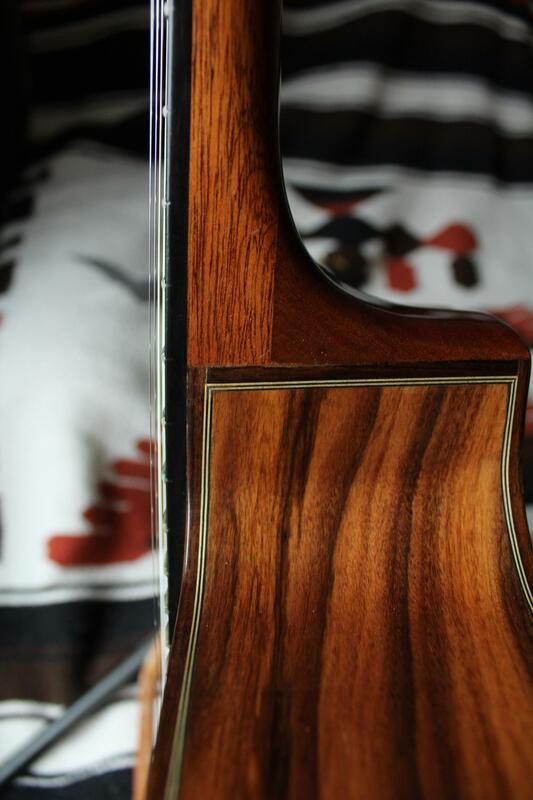 Cedar top, Santos Rosewood B&S, Mahogany neck (w/ truss), ebony fret, Schaller tuners. Nice round sound, a bit more modern sound that is not overly bright but still barks. 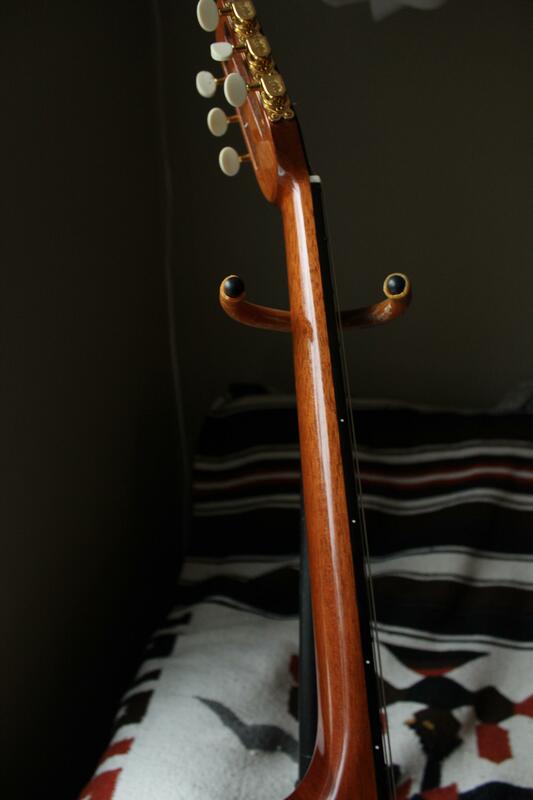 Plays well, easy neck. It has been played. 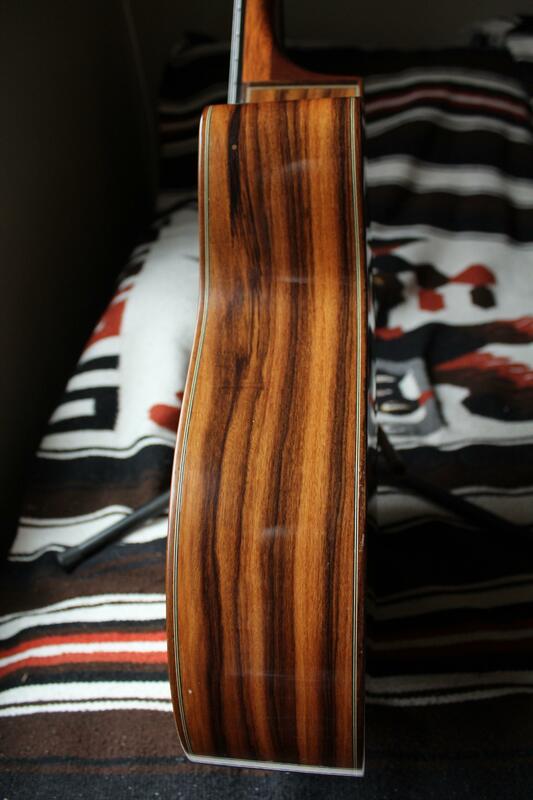 Top has some superficial pick marks. 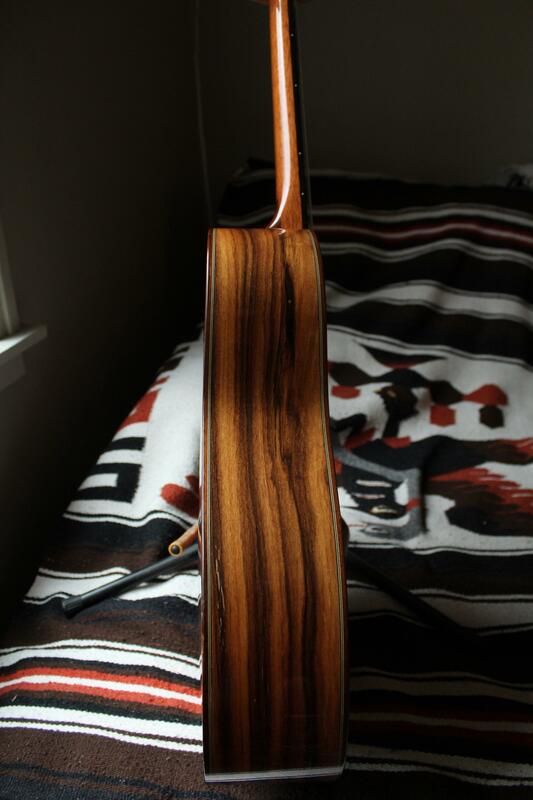 Very easy neck. 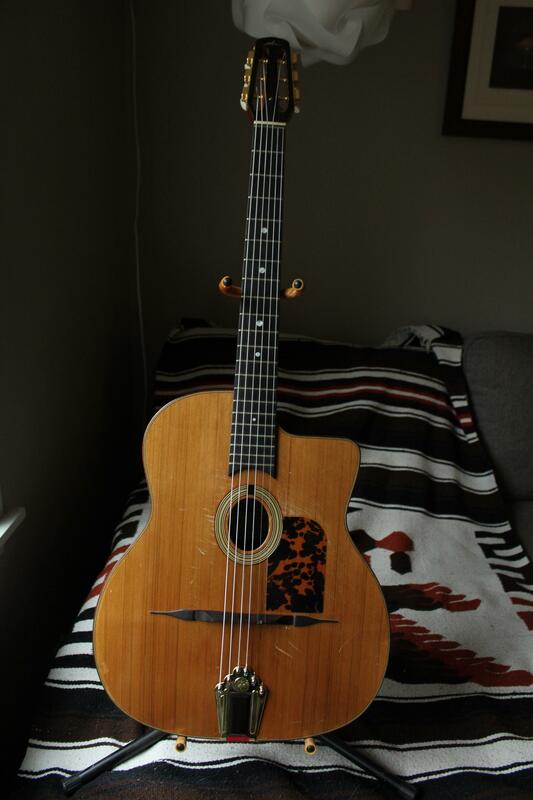 Overall it’s a great guitar and plays awesome, just has some cosmetic stuff and needs to be played. Comes with a Thomann hardshell case. $2,000 plus shipping. Here's some video of Gonzalo playing it. Just curious, is that your guitar Gonzalo is playing, or one just like it? I believe he really means Gonzalo Played it. 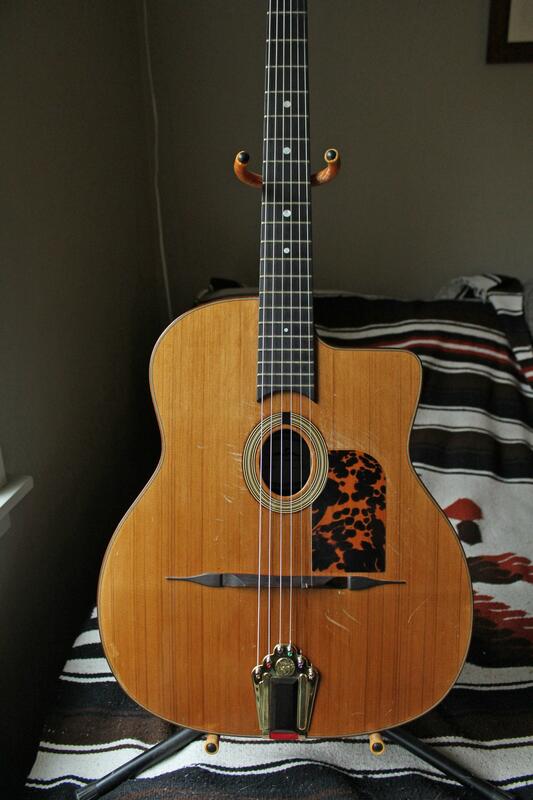 Gonzalo is playing this guitar in that video.